Pick up almost any issue of Countryside and read about the people who are prospering on small farms. Of course it's possible. We prove it every month. But we're also careful! to point out that it isn't easy. Not everyone who dreams of a smull farm is going to make it. Most farmers would be surprised to learn that anyone couid be shocked by having their small-farm dreams shattered by an introduction to agribusiness. After all, everyone must certainly know that our farm population has been cut in half since the 1940s, and that the exodus is continuing even now. Everyone (and certainly anyone interested in starting farming) should be aware that only the larger and more-efficient farms are surviving. If you haven't heard that wheat is selling for less than it brought in 1949, that cattlemen have been selling below the cost of production for more than a year and a half, or that dairymen have been skirting the same situation for several years, you probably haven't done enough homework to be ready to farm. If you don't know that the average U.S. farm encompasses 400 acres and represents an investment of about a quarter of a million doilars, and that the USDA predicts that it will take half a million dollars to break into farming by 1985, you might want to reconsider. If that's the case, what are magazines like Countryside and Mother Earth News all about? Is it, as you ask, all a dream? No, but let's get a few things straight. To begin with, it's important to understand the distinction between homesteading and farming. If you're talking about producing your own food and preparing for the hard times ahead, that's home-steading. 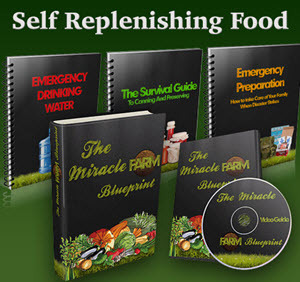 It can be accomplished on a large farm, a small farm, or in town, and since many people in rural homes do not produce their own food or prepare for the future, they are not hcmesteaders. Fanning, on the other hand, involves producing food for sale or barter. In Countryside magazine as in the countryside itself, there is a lot of overlapping. Some of our topics cover farming, some cover homesteading, and many include both, if you want to be very technical about it (which we never are in the magazine), if you raise rabbits for your own table, you're homesteading; but the minute you sell a fryer, you're farming. A chicken farmer, then, could be one who has 100,000 birds in cages in climate-controlled, lightregulated buildings ... or it could be a person who sells a dozen eggs occasionally from the surplus produced by a backyard flock. It shouldn't take much imagination to figure out which one is going to produce eggs at the least cost. This leads us to the fact that farming is a business. Obviously, you say . . . but it's not obvious to the dreamers. People who don't have enough business acumen to run a popcorn stand envision themselves as farmers, but it won't work. 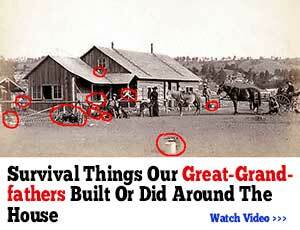 In fact, without knowing and adhering to business principles, even homesteading won't work! The difference, of course, is one of scale. The loss of a couple of dollars on a homestead can lie written off as entertainment or exercise or education or any number of other expenses, but a loss on a farm is a loss, period. This, perhaps, is a: the heart of your concern, so let's examine it in closer detail. * Reprinted with permission, Countryside, September 1977. Any business, in any field, requires capital. You can't even start a lemonade stand without a lemon (or today, perhaps, a synthetic substitute). Farming takes thousands of dollars, depending on the location and type of enterprise. The average Wisconsin dairy farm today represents an investment of §180,000. In the lemonade business, you'd probably borrow the lemon from your mother. She might not even make you pay her back and almost certainly wouldn't charge interest. But farm debts today stand at more than $1 billion, and those who lend that money expect to be paid back, with interest. Because they expect to be repaid, they examine the borrower's qualifications closely. If all you know „bout farming is what you've read in Countryside, Organic Gardening, Th * New Farm, and Mother Earth News, you probably aren't a very good risk. So you need training and experience in the business. With the lemonade stand, you must know how to make lemonade, how to make a sign, how to select a location and a nice hot day, how to make change. Certainly no one would start a grocery or hardware store without knowing something about groceries or hardware, without making some type of market survey, and a great deal more. And if anyone thinks farming entails nothing more than buying some land, getting on a tractor, and going to it, well then yes, they're dreaming. Will you raise cash crops or livestock? Will your crops be corn or soybeans, apples or celery, cabbages or artichokes? Why? Will you raise pigs or sheep or cows? Will your cows be beef animals or dairy animals, your pig enterprise a farrowing operation or a finishing operation or a farrow-to-finish operation? How much experience do you have in whichever you choose? How much capita] will it take to get started, how long will it be before you can expect any income, how much money will you need to carry you through that period, what will your cash flow be, what kind of price will you need to make enough money to make a living, what kind of price can you expect in the future? What kind of machinery will you need, and what do you know about buying, operating, and maintaining it? And what about marketing? Is there a local market for your pigs or fat lambs, or will you have to ship them a long distance? Is the goat cheese co-op to whom you'll be selling milk established and well managed, or will it fold just about the time you get your herd built up? Or, if you intend to market milk yourself, how thoroughly have you investigated regulations governing such activity, how closely have you figured costs, just how certain are you of your potential market? If you sold a few gallons to the parents of a baby who's allergic to cow's milk, a guy with an ulcer, and a health food nut and assume that counts as valid market research, we can guarantee that you won't be farming very long. All of this is only the rawest beginning, yet many people who dream of the countryside ignore even these most basic steps. Now we come to the question of size. Is it really necessary to have hundreds of acres if all you want is a small farm? Average size varies with location and type of enterprise. An acre of strawberries or asparagus near a major population center might be profitable; an acre of wheat probably would not. In most cases, a small farm is at a competitive disadvantage if it produces the same products that a large farm in the area produces. The larger farm can make better use of labor and equipment and can more easily acquire operating capital. But we have seen some exceptions. If a dairy farmer milks 100 cows with an average production of 10,000 pounds and sells that million pounds of milk per year at $9 a hundredweight, he grosses $90,000. The farmer who milks 10 cows of the same caliber grosses $9,000. If both farmers had the same lineup of equipment, those costs would smother the smaller of the two. If the large farmer had large, fast, new equipment he would accomplish much more than the smaller one with small, slow, old equipment that constantly required repairs. But . . . there could be compensations. If the larger farmer's equipment and other costs were such that his expenses came to $85,000 a year, he'd only have $5,000 left. And if the smaller farmer could hold his costs down to $1,000 a year, he'd have $8,000 left. A few years ago it would have been tough to find examples of this. New equipment was relatively cheap, there wasn't as much old equipment available, fuel was inexpensive, fertilizers and chemicals constituted a much smaller portion of the farm budget, land costs were lower, taxes were lower, and so forth. But today, a new combine costs $40,000 or more: an older, smaller one can often be found for $100. Big farmers want—they need—8-, 10-, or 12-bottom plows costing thousands of dollars. They have no use for the old two-bottom out behind the shed, and they sell it for scrap metal prices. An average-size tractor (now about 85 horsepower) will cost more than $10,000; older, smaller models can often be had for under a thousand. You'll have to be a mechanic if you own the old stuff, and you won't work as many acres in a day. But you'll get the job done. And you won't need nearly as many bushels or gallons or pounds to cover the cost of capital, to repay loans, and pay interest. Large farmers are extremely shrewd managers. They have to be. They have large equipment because they know exactly what it costs them and what the alternatives are—and because they make money with it. Small farmers have to do the same. A piece oí" equipment is not necessarily right just because it's old and small and cheap. Small farmers require the same type of management skills as large farmers; they only apply them differently. There are several other angles here that can get us off the track. You, the reader, and I have a somewhat different view of the future than most farmers. For the most part, we believe in organic fanning, and we're concerned about chemicals in our food and soil. We can see ecological webs that others ignore or are blind to. We are, perhaps, more deeply aware of the real meaning and nature of the energy crisis and its relation to food. We're uneasy about megafarming and disdainful of the middleman with his processing and packaging and advertising and hauling. We think that somehow this is all wrong and that we can make it right. If you're serious about farming but lack experience, homesteading is certainly one of the best places to begin learning. Or, you might consider forma! training and then working as a hired hand. With more experience, you might be able to farm as a renter or on shares. In all of these situations, you'll have to act like an agribusiness farmer, of course, unless you are fortunate enough to find organically inclined people to work with. It's getting easier all the time. But perhaps the best alternative of all might stem from this encouraging note: fully two-thirds of all American farmers earn more away from their farms than they do from farming. In organic and other ecological circles, this is generally taken as bad news. More than half the farmers of the 40s have been forced out, and only one-third of those remaining can be said to be fulltime farmers. Ninety percent of our food is produced on ten percent of our farms. And yet, if parttime farming is actually twice as common as megafarming, isn't this a golden opportunity? If we can continue to earn a iiving in town, it doesn't really matter if the farm makes enough money to support U» or not. We can learn. We can improve our land, build up our herds and flocks, settle in with machinery that's proper for each individual farm, build up equity, be organic. It's not the ideal situation, because proper farming requires careful timing and full-time supervision and surveillance, but it's a darn good second choice. For most of us, it's the only logical choice. With study and practice, with good management and sound financial planning, a part-time farm can become a full-time one . . . and if our hopes that agribusiness can't last should prove to be right, such small farms will be in an extremely enviable position. One thing more. Most organically inclined people know that it takes three to five years to convert a chemical farm to organic methods. But what many do not know is that many farmers believe that it takes five y^ars, even for an experienced farmer, to get to know how to work a particular farm. Every place is different, every situation is different. This is yet another reason for the greenhorn to be cautious. Yes, it's possible to make a living on a small farm. But it probably takes about as much training and preparation as a career in law or medicine or any other worthwhile profession.